Well as promised, here are the beautiful new family the Ritchies. Danny is my son in law’s brother and I have known him and Majdah for quite a few years. I just love them both, and Majdah as well. They just had their beautiful baby boy by caesarean section almost 4 months ago already an wow, time goes to fast. What a handsome sweet little man is he, and I had all the privilege of photographing them a few days ago in my new studio. Majdah is from Israel and such a stunning new mama. 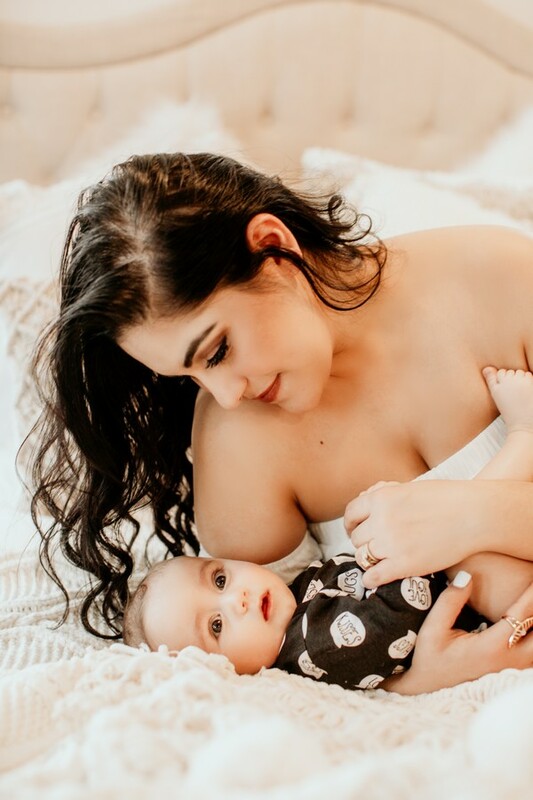 I have photographed her on many occasions and I must say this is my favorite as she is absolutely glowy as well as Danny as their new roles as a mama and daddy!! There is just something that happens to us when these little miracles are placed in our arms and we are responsible for raising them into this crazy world. We all just become mish mush and it is magical, delightful, and terrifying all at the same time! Most of all it is a huge joy, here is Majdah and Danny and baby River’s story!